Meghavi brings to you an Experience steeped in relaxation and romance, and with rewards that keep giving well after your departure. 30 Minutes massage class for couples to learn basic At Home Massage techniques. 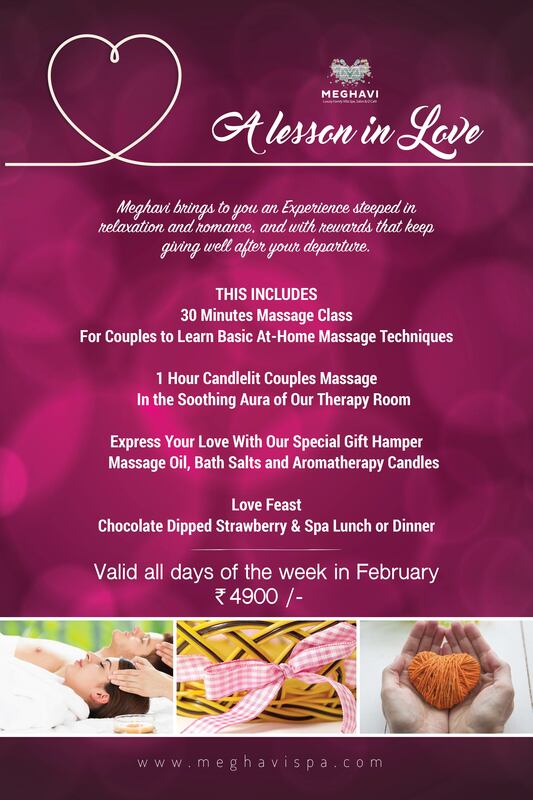 1 Hour Couples Massage in a Candlelit Therapy Room. Chocolate Dipped Strawberry & Spa Lunch.